Beauty, for me, is something I have always loved buying, but have rarely written about in depth. There are, however, circumstances under which I have to throw expertise to the wind and shout loud and proud about products that even a reader of "beauty for dummies" would know to be life changing. And today, I am tickled pink to introduce you to 15 products I know will absolutely change your life, with price tags that won't leave you with serious credit card issues. Now, this does all stem from one epic event in my life that happened nearly two months ago, which does mean I have had time with these products to truly test drive them and deem them as worthy enough to point in your general direction. That event happened while I was visiting QVC UK in West London. While getting ready to film a video, the makeup artist on hand was walking me through the products she was using. I'm the annoying person who is always trying to learn as many tricks of the trade as I can, so I was drilling her on everything from the best foundation for my skin type to mascara that will last through a viewing party of "Beaches." Then, as the day progressed, not only did I walk away with a few tips, I also walked away with new knowledge about QVC. They are just about the best place to buy beauty in the UK. I'm not kidding you on this, dear readers. QVC has an offering that is crazy good and available online along with videos of the products being discussed and used on the network. So if what I'm about to tell you herewith isn't enough, you can watch the experts themselves tell you all you need to know with the link provided under each product. In short, my purpose here today is double-sided. First and foremost, there are 15 products herewith that you need to know about and have in your life. Secondly, if you are still of the opinion that QVC is only a shopping network for those who have time to watch TV, think again. This is a website that is as informative as it gets with its products and please excuse me if this seems to be forward, but I do believe they are shaping the future of retail in the way they are using online to help inform consumers about each and every product they sell. Now, with that little ditty out of the way, let's talk shop. These are the 15 beauty products that need to be on you radar right now, in no particular order, that would also make fantastic Christmas present ideas for the beauty lovers in your lives. I know, I know... it's so early. But you can't go wrong with any of the following. YOU NEED THIS! IT WORKS FOR EVERY HAIR TYPE! This is a hair game changer, especially for any women that are trying to grow their hair to a longer length. 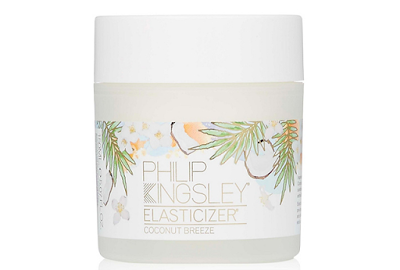 The Elasticizer is a tool that the hair experts of the world have known about for quite some time. It has been on shelves for over 40 years, so I'm not bringing you anything new (unless you count the fact that this version now has a tropical coconut scent). But, it is a tool that will change your hair with just one go. The score here is as follows: this is a treatment. You can wear it in your hair overnight or you can just put it on your hair 20 minutes before you go into the shower for a shampoo. Either way, your hair will come out the other side feeling smoother, more manageable and will break much less frequently (hence helping with the growth). This is also a Godsend for anyone that colours regularly and has hair that's crying out for a little TLC. I use this once a week now religiously and all I have to do is rough dry my hair every morning and it comes out salon quality. No lie. Oh, and this scent really is a dream. You'll think you're treating your hair in a Caribbean Spa! I have to say, first of all, that this is only available at QVC. The designers of this product wanted an Enzyme Peel that women could use weekly and not have any downtime after applying. This is a treatment that is going to help remove dead skin cells, shrink pores and give you a truly next level clean. It's marketed especially for sensitive skin (which I have, so definitely love this) and truly does give a brighter complexion upon completion. It's also the most fun I've ever had with a treatment. 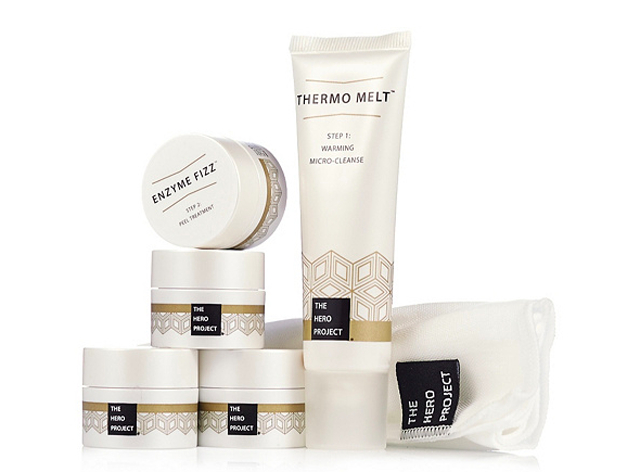 The first step is all about heating up the skin and opening up your pores for the second step. And let me tell you that the second step is a sensation your face has never felt before. I'll just say this. I kept thinking of snap, crackle, pop and the beard of Santa Claus while wearing it for the eight minute duration. The gel like mask actually foams up on your skin and expands as time goes by. You have to try it to believe it. 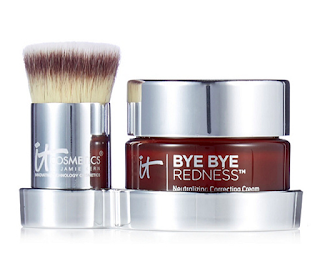 This set comes with one month's supply, one treatment per week. 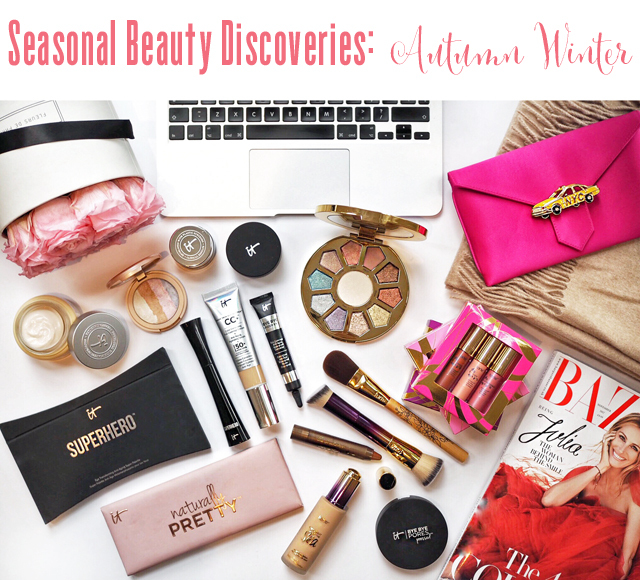 I need to go ahead and warn you that there are a lot of IT Cosmetics products featured here as it's my new brand obsession. I have limited how much I'm actually featuring, as I'm sure I have close to the whole collection at home at the moment, but this is the highlight reel. We'll start with the Confidence in a Cream. This truly is a tall drink of water for your face. It's a product that's taken seven years to perfect and promises softening of fine lines, pores and just generally gives a more youthful and dewy appearance. Again, this is perfect for sensitive skin and smells like heaven. It also absorbs instantly and really does give a great glow. On better skin days I'll wear just this and a bit of concealer... which I will get to later. Ps. QVC even has a plan where you can continually buy so you never miss a day without this cream in your life. Just saying. I generally hate foundation. I will only really ever wear it if I really need to (and I'll get to that later). But, the CC Cream from IT Cosmetics, first of all, isn't a foundation. 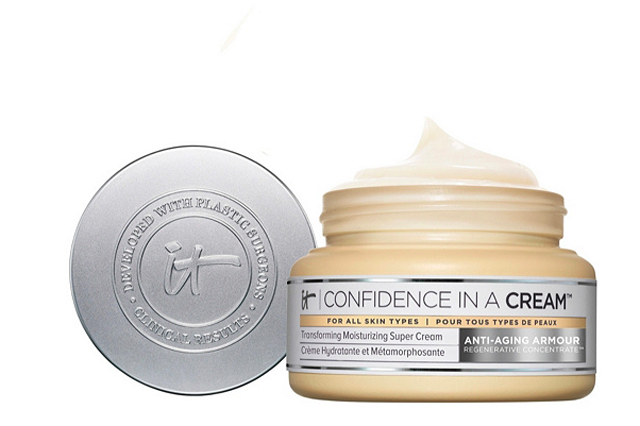 It's a cream that's developed to simply enhance what you've already got going on. It's light enough so that you feel as if you're not wearing anything at all. But, it has enough going on so that it completely evens out the face and gives a healthy glow to the complexion. On days when I just need a little boost, I whack this on and it really does last all day and gives me SPF protection with 50+! Gotta love that with the whole world waxing lyrical about sunscreen protection. 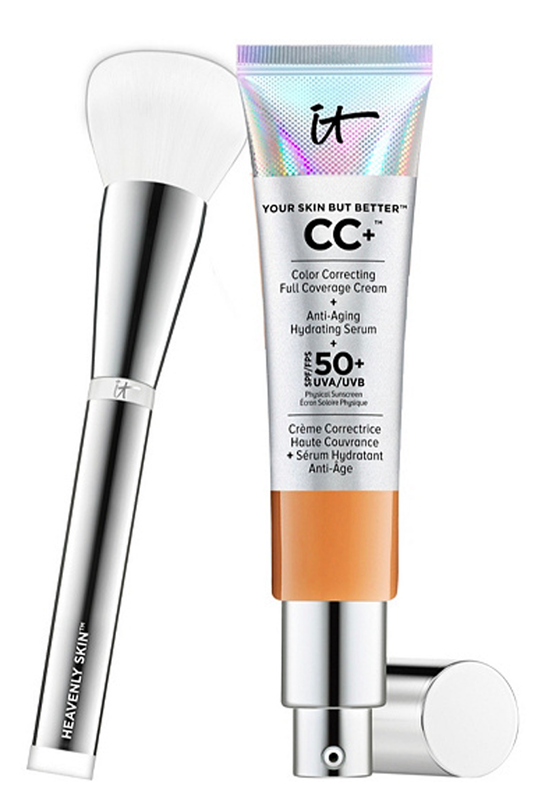 I would say, at this point, I'm wearing this 60% of the week, and when I do it's pretty much the only thing I put on as it's anti-aging, moisturizing and concealing all in one (the company claims it replaces a seven step skincare regime and I'd say they aren't far off the mark). Done, done, done. This is really worth watching the demo, so click through for a watch. You'll be pretty amazed. This is truly a hero product and something that has really helped me for days when I have a rosacea flare up (sadly, usually caused from a few too many glasses of hot tea or even wine, whoops!). 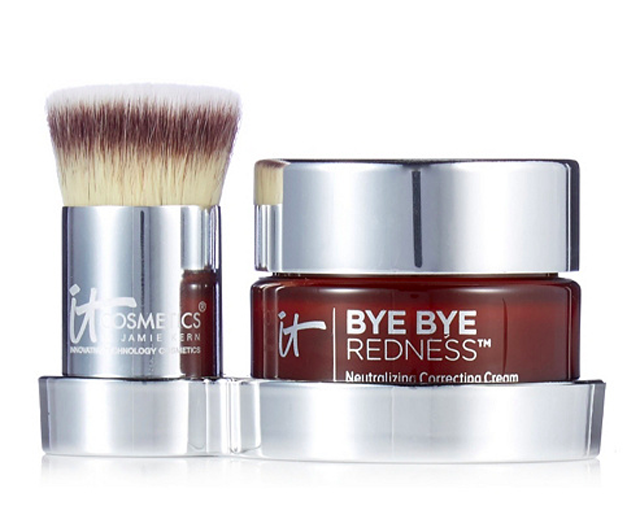 The Bye Bye Redness is insanely good coverage. Most people who wear it, simple wear this and nothing else for coverage on the skin. It comes in one shade, so there's no worry about perfectly matching. 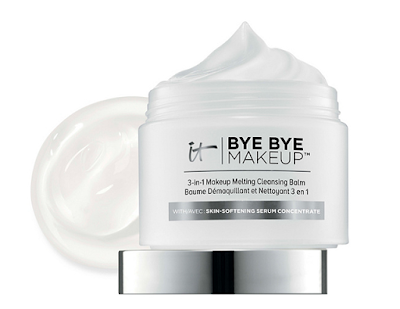 And if you watch nothing else, click over on the link above and see the before and after pictures on this correction cream. You will not believe the transformations. 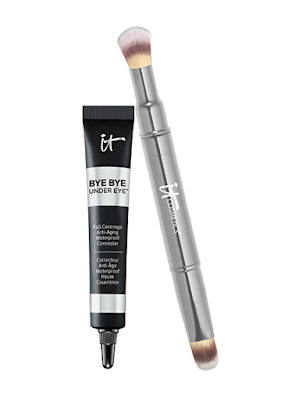 This is the first under eye concealer I've found that offers complete coverage for under eye discolouration and I only have to apply once a day. I apply it first thing in the morning as part of my makeup regime and I don't have to think about retouching once. It's like camouflage. Seriously, it's sensational and was the product that made me fall in love with the brand initially. You also only need the tiniest bit for each application so the tube lasts forever. I call this my sleep in a bottle. Trust me, you need this in your life right now. I don't have much more to say about that. I think you know I mean business. But again, the QVC demos showcase a pretty convincing argument to second mine, in case you need more convincing. If you have the slightest problem with pores (which I seem to be battling more and more the older I get), you will love this product. 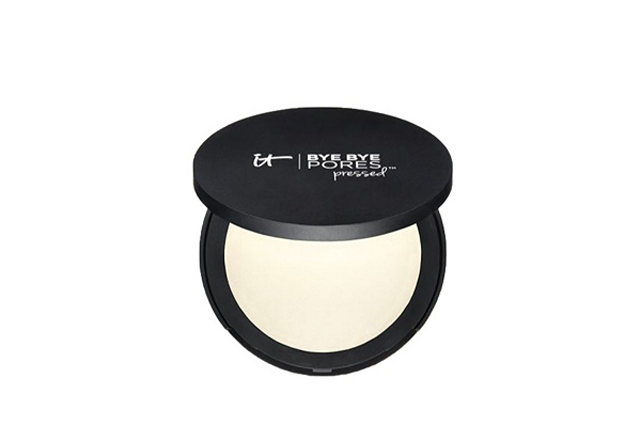 I use it as a finishing powder, but generally only use on the areas of my face that tend to look like harvested fields. It really does deliver as promise. It's the pore killer. But, it doesn't take away from the natural glow of your face. It's an easy coverage solution without making you look like you are a walking talking makeup cake (if you know what I mean). This is more a problem solver than a beauty product! I tried contouring once and I looked like a Kardashian gone wrong. That's to say it wasn't a successful adventure. 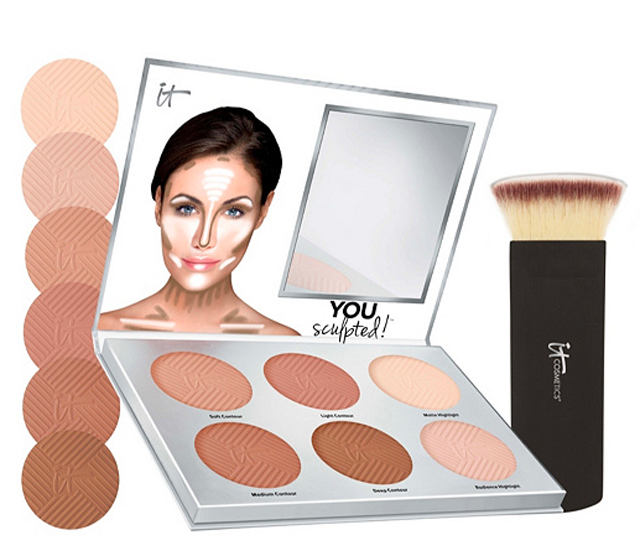 But, what I love about the sculpted palette here is that it comes with an instructions diagram sitting right next to the mirror you are using to apply the product itself. You cannot go wrong. There are also four shades of bronzer and two shades of highlighter, so the world's your oyster in creating your ideal look. 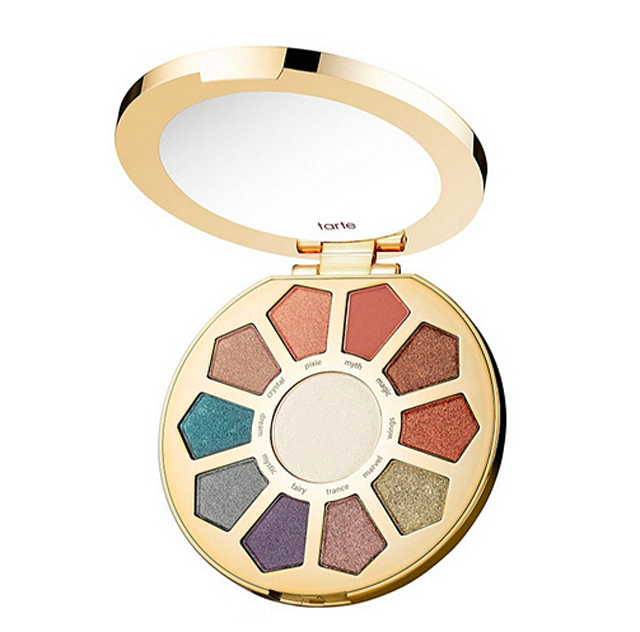 I feel completely empowered by this palette. I hope that doesn't make me sound insane. "NO REALLY, IT'S MASCARA, NOT FAKE LASHES"
The first time I wore Superhero mascara, I was complimented three times before lunch in London, on my fabulously outrageous lashes. One of my best friends even asked me if I had extensions put in again. 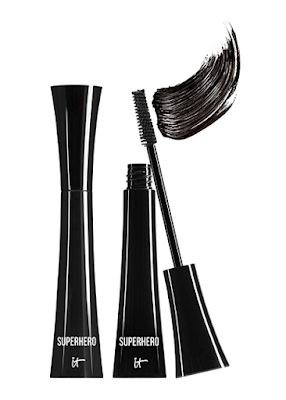 This mascara just grabs your lashes and instantly gives you Jennifer Lopez length, volume and curl. Ok, I am sure you are wondering why I went with J.Lo as my eyelash idol. Have you ever seen her lashes? I reckon she's a Superhero fan too. Alright, I'm killing two birds with one stone here in talking the perfect beauty buy and the perfect Christmas present. But then again, I think you are going to find that QVC is the dream Christmas location once I get finished with everything I have to say about this amazing shopping destination. But first, let's talk Tarte lipsticks. Let's talk about all 9 of them, as that is how many you'll get in this gift set. They are perfectly sized to throw in your purse and go for holiday party season, and they also make for a perfect pressie for any lipstick fanatic in your family. 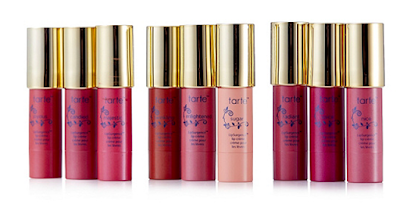 There are 9 universally flattering shades here and a price point that can't be beat. Done and dusted. I've saved one of my favourite products for last. Ok, that wasn't intentional. That's just how the cookie crumbled. Can you tell I have a bit of buying obsession with the Bye Bye line from IT Cosmetics? Not only do I use it as makeup, I use it to take the makeup off. This is a 3-in-1 cleansing balm that really does wash off absolutely everything and then some. I feel like I am actually washing away the entire London day when I use this product and it is truly my favourite part of my evening ritual. It easily takes away any and all makeup and leaves your skin feeling hydrated rather than striped. I'm addicted and can't imagine living without it. I even decant it into little bottles for short term trips I take with work. Now, that's your complete look at the 15 products that are new-ish to me, and hopefully entirely helpful for you. And I'm dead serious when I tell you that QVC needs to be an online shopping destination on your radar. Great things are happening here, people, and it's all about education, great price points and products that are truly life changing. Can someone explain to me why all retail experiences aren't like this?! Written in collaboration with QVC (and very excited to share more... so keep an eye out).